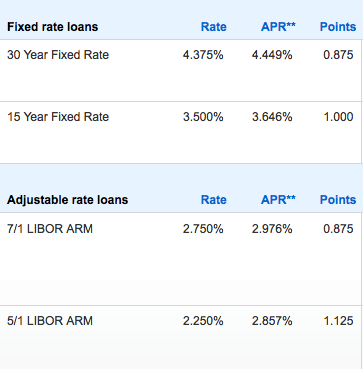 Chase Mortgage Refinance Rates Intentionally Inflated? Those looking for a mortgage refinance may get a surprise if they bank with Chase. The NYC-based bank and mortgage lender is currently advertising mortgage rates well above the national average. The way they see if, if they raise their advertised fixed rates, borrowers may go elsewhere, thereby not disrupting their capacity constraints. Of course, it’s a dangerous game to play if and when demand slows. 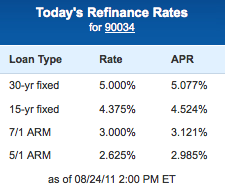 For example, today’s refinance rates for a 30-year fixed are set at 5.00%, while a 15-year fixed is going for 4.375%. 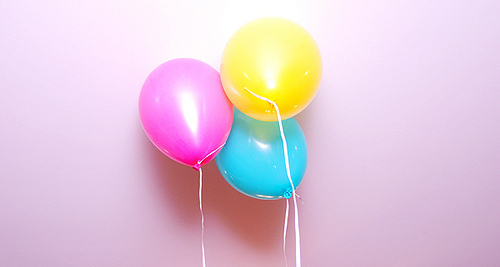 The 7/1 adjustable-rate mortgage is pricing at 3.000%, while the 5/1 ARM is coming in at 2.625%. These compare to rates of 4.375% for a 30-year, 3.375% for a 15-year, and 2.625% for a 5-year ARM seen over at top mortgage lender Wells Fargo. And Wells Fargo mortgage rates aren’t necessarily the lowest out there either, and their interest rates on FHA mortgages are oddly high, so this just illustrates the strangeness of it all. Perhaps Chase doesn’t have the manpower to originate, underwrite, and process all those would-be loans. For example, they may have enough mortgage bankers but not enough underwriters. Maybe they’re focusing more on loss mitigation, including loan modifications and foreclosure decisioning? Or simply putting more time into their credit card and savings account businesses, as opposed to Chase mortgages, who knows? A similar situation unfolded at Wells Fargo back in 2009 when the company said it couldn’t lower mortgage rates as much as it would like due to a high decline rate and lack of available staff. Interestingly, Chase’s purchase-money mortgage rates are a completely different story. You can get a 30-year fixed purchase mortgage for 4.375%, a 15-year for 3.50%, or a 5/1 ARM for 2.25%. Their ARM rates are actually beating Wells Fargo’s handily, but only if you’re looking for a purchase mortgage. And as we all know, nobody is looking to purchase a home in this market, despite those rock-bottom rates. So that could yet another move to deter new business. In fact, the Mortgage Bankers Association reported today that purchase demand hit its lowest point since 1996, so mortgages for home purchasing are clearly not highly sought-after. Yep, housing demand is at its lowest point in 15 years, at the exact same time interest rates are at historic lows. Makes you wonder if buying a home is a good move at the moment, right? And existing homeowners have seen their home equity get zapped, making a traditional refinance mortgage increasingly difficult to qualify for. This is unfortunate, seeing that many borrowers could benefit from a lower monthly mortgage payment at the moment. The moral of the story here is to shop around for your mortgage. 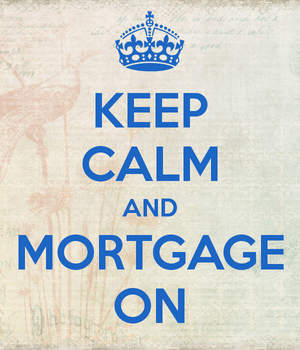 If you want the best mortgage rate, don’t just get a single quote from the bank you have your checking account with. Gather mortgage quotes online (they’re free you know), speak with a few national banks, ask a friend for a mortgage broker reference, and check out some mortgage rate tables to see what a difference the new rate will make versus your current mortgage. Otherwise you could wind up with an astronomically high mortgage rate, simply because you didn’t know any better.